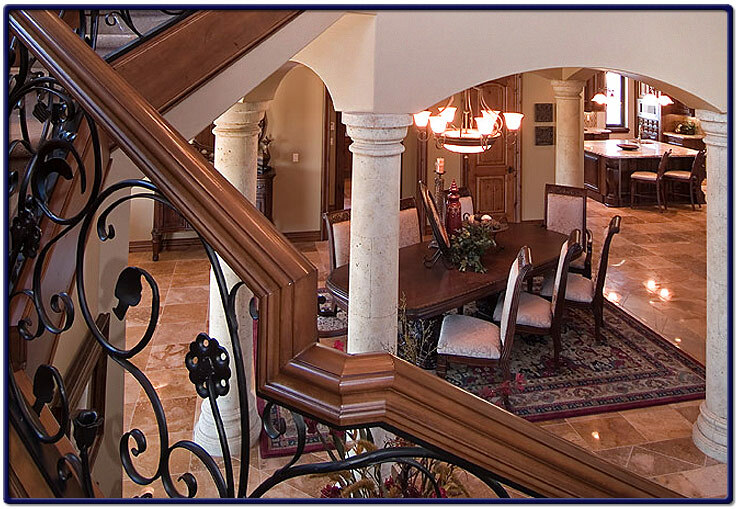 The image that is pictured below, is a circular stair railing made of wood and wrought iron (adding a taste of elegance to these magnificently designed stairs). The wrought iron can be custom made to your likeness and creativity. Wrought iron roses can be designed and placed into the railing as an example of artistic creativity.